Doctor Strange is the fourteenth entry in the Marvel Cinematic Universe, and despite being one of the most standalone adventures to date, there are still plenty of allusions to the original comics and the wider MCU. The song playing while Strange has his life-changing car crash is the psychedelic rock classic Interstellar Overdrive (1967) by Pink Floyd. 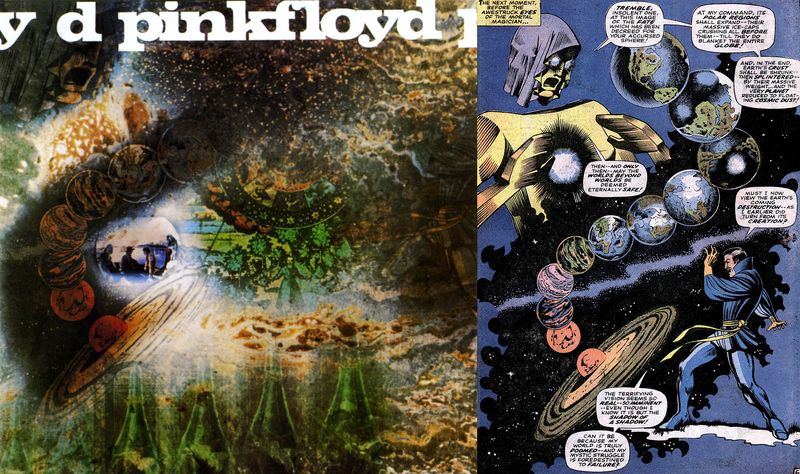 Comparison: a Saucerful of Secrets (1968) and Marie Severin’s art from Strange Tales #158.